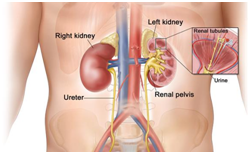 Kidney tumors can be operated either by conventional open surgery or by laparoscopy (Laparoscopic Radical Nephrectomy). Laparoscopic or Laproscopic cancer surgery has several advantages over conventional open surgery with same cure rate. Only surgery is curative in most of the cancers. Additional therapies (chemotherapy & radiotherapy) are mostly supportive. But, many patients and their relatives try to avoid surgery for the fear of the immense trauma for their loved ones, resulting in patient getting wrong or less effective treatment. 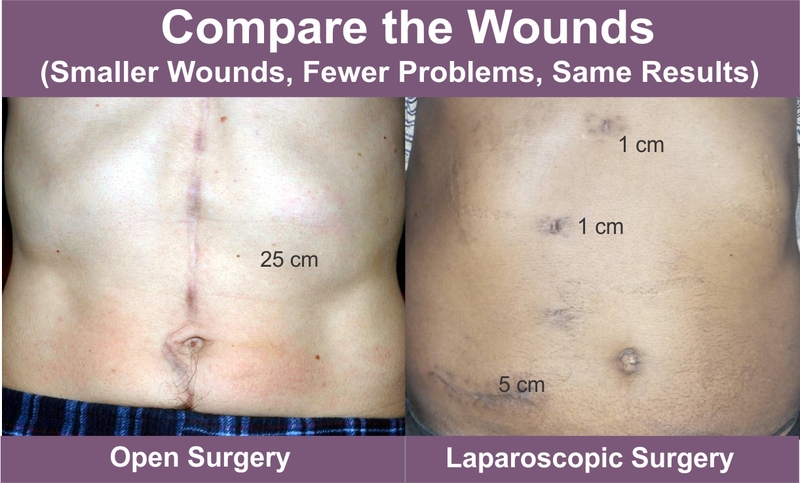 With laparoscopy the trauma is much less and makes the treatment more acceptable. 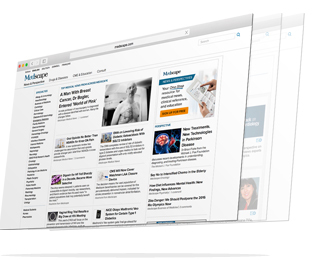 The Team MACS precisely addresses all these issues and works relentlessly for a better life. WHAT IS KIDNEY CANCER ? We have 2 kidneys which are located in the back of the abdomen, one on each side, just underneath the ribcage. They filter the blood and remove waste products, which they convert into urine. The tubes called ureters drain urine into bladder where it is stored. The kidneys also help to control the balance of fluid, salt and minerals in the body and to maintain blood pressure. The kidneys are contained in a fibrous covering called the Gerota’s fascia and surrounded by a layer of fat. Kidney cancer is more common in people over 60 and rarely affects people under 40. Usually only one kidney is affected, and it’s rare for cancer to affect the other kidney. There are different types of kidney cancer. About 90% of kidney cancers are clear cell cancers. Less common types are papillary, chromophobe, collecting duct renal cancer and transitional cell cancers. Wilms’ tumour is rare type of kidney cancer that is seen in young children. Early kidney cancers don’t usually cause any symptoms. However, now-a-days these are often diagnosed by chance when people are having tests or scans for some other reason. Delayed diagnosis is rare as ultrasound scan of abdomen is routinely used. rarely a combination of high temperature, night sweats, feeling very tired, or losing weight for no obvious reason may be seen. Today kidney cancers are mostly diagnosed based on scans (CT or MRI). No biopsy is needed as the images give clear idea about the presence of disease. However, if there is any doubt, a needle biopsy (FNAC) may be used to confirm the diagnosis. Surgery is the only curative treatment available for kidney tumors. Chemotherapy or radiotherapy have very limited role. Stage I cancer is 7 centimeters or smaller and is within the kidney. These are tumors that are best treated using laparoscopic surgery. Often the kidney can be saved by removing only the affected portion of the kidney (nephron sparing surgery). If not, entire affected kidney along with its covering tissue and lymph nodes are removed (radical neprectomy). One normal kidney is sufficient for normal life. No further treatment (chemotherapy or radiation) is recommended. Five year survival in this group is more than 80%. 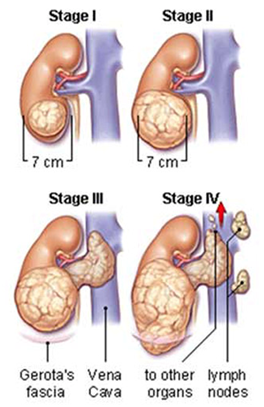 Stage II cancer is larger than 7 centimeters and is within the kidney. Surgery to remove the entire affected kidney along with its covering tissue and lymph nodes (radical nephrectomy) are the treatment at this stage. Radical Nephrectomy can be performed by conventional open method or by laparoscopy. No further treatment (chemotherapy or radiation) is recommended. Five year survival in this group is about 70%. Stage III cancer is when the cancer is spread to one or more of nearby lymph nodes or extends into the vein that drains the kidney or into the fat that surrounds the kidney. The size of the tumor has no relevance. Surgery to remove the entire affected kidney along with its covering tissue and lymph nodes are the treatment at this stage (Laparoscopic Radical nephrectomy). When cancer extends in to vein, the major vein draining the lower half of the body (inferior vena cava) may have to be opened in order to clear the cancer from the vein. This surgery needs open surgery as blood vessel needs to be opened. No further treatment (chemotherapy or radiation) is recommended after surgery. Five year survival in this group is about 50%. Stage IV cancer has spread beyond the layer of fatty tissue around the kidney or to other organs, such as the lungs, liver, bones, or brain, and may have spread to far away lymph nodes. This stage is not curable. The most effective way to treat these patients is to remove the affected kidney in order to reduce the tumor load (cytoreductive nephrectomy) and followed by targeted therapy (chemotherapy tablets that act against specific receptors). This is only to reduce the symptoms due to disease. Five year survival in this group is about 8%. These tumors can be treated using laparoscopic surgery if the size of the tumor permits this.